"The SmartEdit content management solution from Graphic Language allows my marketing team to make real time adjustments to photos, copy, promotions, and plans and so we can have the ideal customer content immediately available online." Fischer Homes has been building lifestyle communities for nearly 40 years. Their commitment to quality work, and to fulfilling their promise of “your dream home” has established the builder as a credible, reliable, award-winning regional home builder. 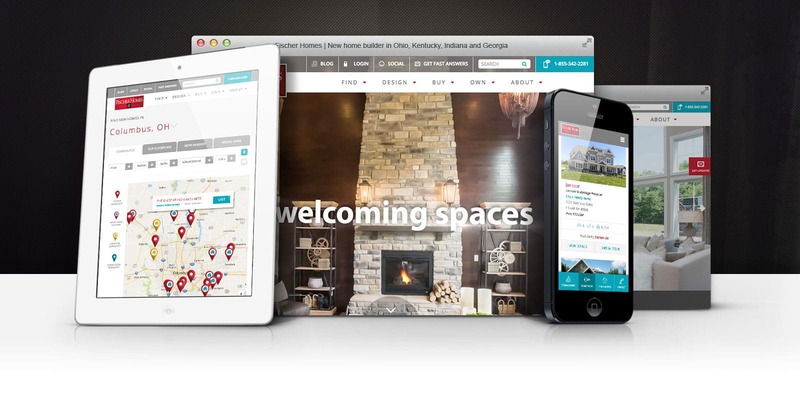 One of the largest builders in the Ohio, Indiana, and Kentucky tri-state regions, Fischer required a new home-shopping experience to accentuate its brand, and position the company as a top-notch regional home builder competing with the nation’s largest builders. 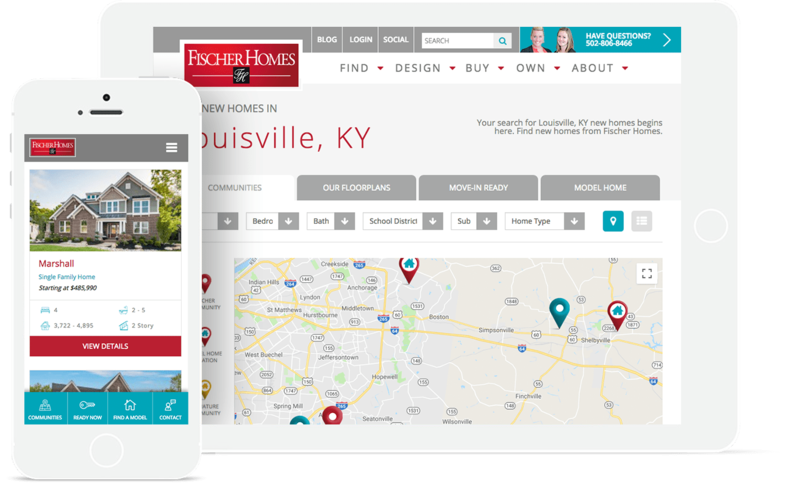 Fischer Homes has valuable new-home data that exists in several locations including their own custom CRM, the MLS, and online sources like ListHub. Consolidating all this data into one cohesive home-shopping experience, and keeping it updated by the minute, was a considerable challenge. In addition to this monumental feat, the builder had to be competitive with the nation’s top home builders in the area. 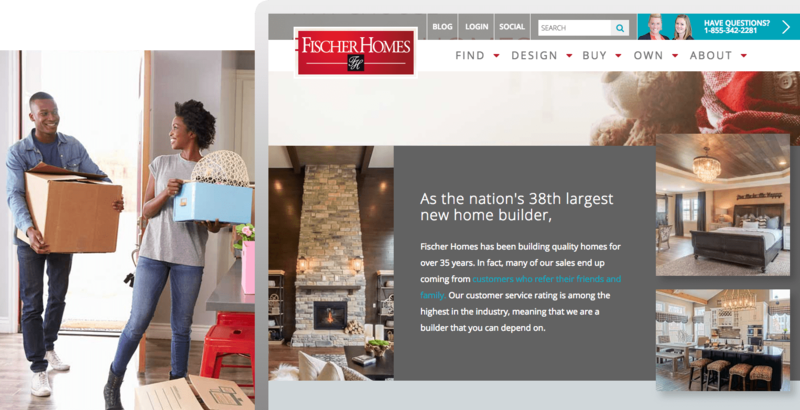 Consequently, Graphic Language worked closely with Fischer Homes to create a persuasive home-shopping experience, rich with sophisticated design, recurring data feeds, and industrial-strength functionality. Easy (and robust) home search. Sophisticated design. Robust functionality. Deep data integration.